Throughout history, they’ve been maligned as food fit only for animals and revered as “apples of life.” These vegetables kept Incan civilizations thriving, helped fuel the Industrial Revolution, triggered mass population shifts, and are now one of the world’s four most important food corps. 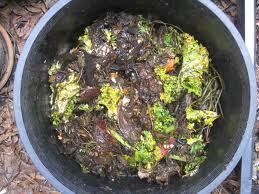 They are used to produce paper, adhesive, biodegradable plastics, and even cosmetics. 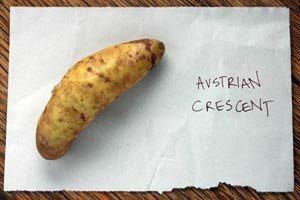 Potatoes can provide an exciting focus for scientific investigations, nutritional lessons, and for exploring world cultures and history. 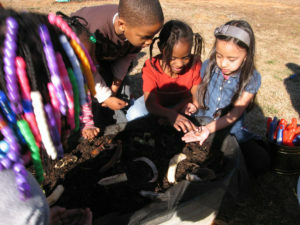 Classroom gardeners don’t have to be a bunch of couch potatoes. 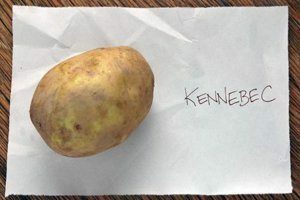 Have each student bring in a potato, then have pairs or small groups of students observe the tubers, writing down all of the observations they can make as well as things they know about potatoes. 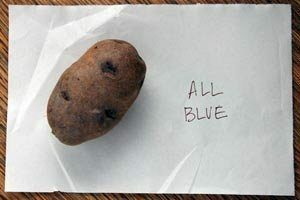 Make a class chart with the headings: Things We Know About Potatoes and Things We’d Like to Know. At the end of your potato adventures add columns What We Learned and Questions we Still Have. 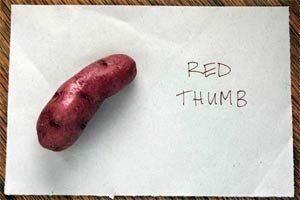 Refer to the chart throughout your potato study andat the end to assess what students have gained. Students should discover that it has numerous small indentations or “eyes” (and even eyebrows!). These are the beginnings of tiny buds that, with the right conditions, will produce sprouts. 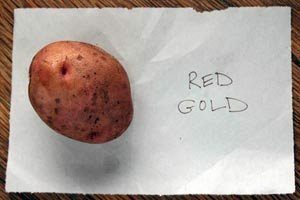 Farmers and gardeners plant pieces of potatoes with eyes (called “seed potatoes”) instead of growing potatoes from actual seeds. 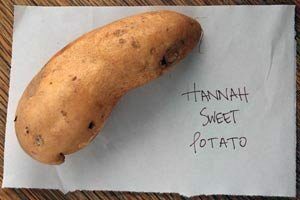 When a piece of potato is planted, the starch in this seed piece “feeds” the plant until it’s leaves are mature enough to photosynthesize and produce their own nutrients. The nutrients in the seed piece are used up in the process. 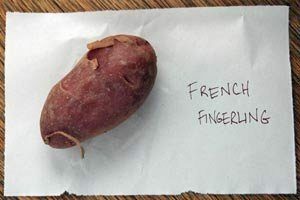 Take a wide mouthed jar and using a few toothpicks inserted around the potato, sit the potato on top of the jar so that a portion of the potato in the water. Place it in a window. You’ll find stems and leaves emerging from the potato sprout and thread-like roots growing from their base. Compound potato leaves (made-up of small leaflets) will eventually be arranged around the stem in a spiral pattern, an adaptation to ensure that each leaf receives as much sun as possible. Potato plants have underground stem extensions called rhizomes. Once the plant has finished its initial phase of growth, the leaves make more carbohydrates than is necessary for plant growth. The extra is stored as starch in the rhizomes. 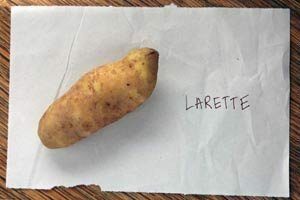 As this starch builds up, the tips swell into the tubers we call potatoes. Though potato plants produce flowers, seeds and small fruits, these are not part of our diet. 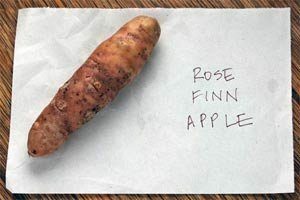 Compare potato flowers with those of their relatives-tomatoes, eggplant, peppers, petunias, and tobacco and see if you notice a family resemblance! 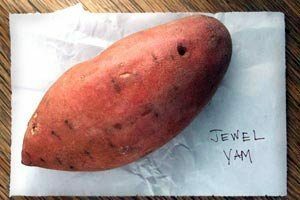 Ancestors of the Incas living high in the Andes in South America more than 6,000 years ago are believed to have stumbled on many types of small, bitter wild potatoes that survived well in the harsh mountain climate. These early farmers developed sophisticated growing methods, allowing them to cultivate huge quantities of potatoes. To keep their precious harvest from spoiling, they spread potatoes on the ground until they froze overnight, then walked on the potatoes the following day to squeeze out the water. After letting them dry in the sun and repeating this for several days, they had a dried powder called chuno, the first freeze-dried product! 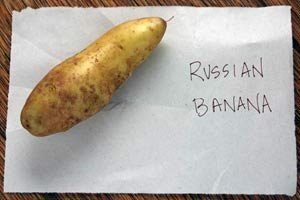 When Spanish explorers came to Peru in the 1500s looking for gold and silver, they paid little attention to these homely tubers, and the few potatoes that they did take back to Europe were not an immediate hit. 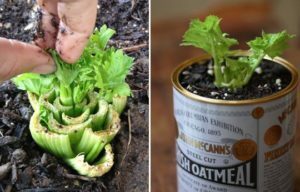 People were skeptical since this strange new food grew underground. It didn’t help matters when Queen Elizabeth’s cooks threw out tubers and cooked the leaves and stems making the royal guests ill! 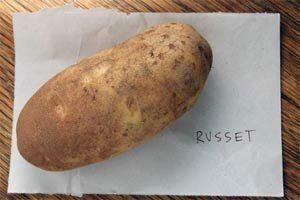 Potatoes were at times considered as peasant food barely fit for human consumption and at other times reserved as a delicacy for the wealthy class! 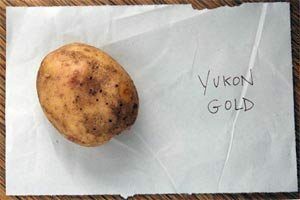 Easy to grow in many climates and soils, potatoes had by the mid-1800s become one of Europe’s most important foods. The poor masses finally had a crop that was easy to grow and process, was very nutritious, and could be raised on small plots. Nourished on potatoes, more children survived than were needed to help on farms and as more people moved to cities to work in factories the Industrial Revolution thrived. Take away the extra fat and deep-frying, and a baked potato is an exceptionally healthful low calorie, high fiber food that offers significant protection against cardiovascular disease and cancer. 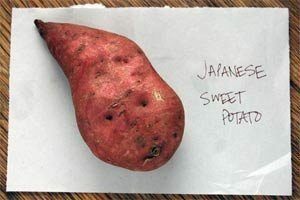 Our food ranking system qualified potatoes as a good source of vitamin B6, vitamin C, copper, potassium, manganese, and dietary fiber. 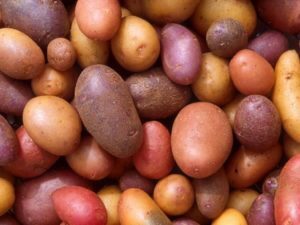 Sixty different kinds of phytochemicals and vitamins are in the skins and flesh of 100 wild and commercially grown potatoes. 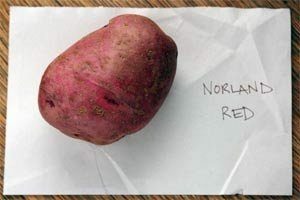 Analysis of Red and Norkotah potatoes revealed that these spuds’ phenolic content rivals that of broccoli, spinach and Brussels sprouts, and includes flavonoids with protective activity against cardiovascular disease, respiratory problems and certain cancers. Potatoes have been identified with high levels of vitamin C, folic acid, quercetin and kukoamines. These last compounds, which have blood pressure lowering potential, have only been found in one other plant, Lycium chinense (a.k.a., wolfberry/gogi berry). 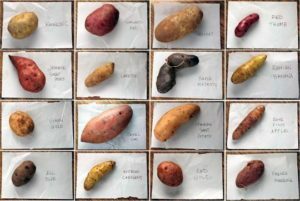 SOOO MANY KINDS OF POTATOES!